A hot air balloon flight lasts for approximately one hour. The direction depends on the wind, which is why it is not possible to determine the end destination. Due to the weather conditions and the minimum steering available, it is possible that the flight might have to be ended before the hour for safety reasons. Fro example if it is travelling very slowly towards an area where it cannot land. It is also possible that after one hour there is no suitable place to land and the flight will have to continue for longer. We normally fix a date with the passengers when the balloon flight is going to take place. This is dependant on the weather. The day before the arranged date, the passengers phone up to find out about the weather conditions. If the weather conditions are not suitable, an alternative date will be fixed. Passengers and team meet at the arranged place and start getting the basket and burner ready. The passengers are able to help if they want, to get to know all the details about hot air balloons. The pilots will brief the passengers. This takes between 45 minutes and one hour. The balloon is filled with cold air. After a further 15 minutes, the balloon is ready to start. The balloon flight lasts for approximately one hour. During the whole flight, the pilot is in contact with the team vehicle on the ground by radio. After the landing, the balloon is packed up and stored in the hanger of the team vehicle. Passengers are able to help with this. Afterwards the passengers are raised to peerage with a balloon baptism. First time passengers receive a certificate to remember this unforgettable experience. Meanwhile, 3-4 hours have already passed and you return to the starting point in the team vehicle. You should plan about 5 hours for the whole experience. 2. Health problems and handicaps are to be report when booking the flight. People with heart, lung and circulation problems should consult their doctor as to whether it is suitable for them to fly. We recommend that people who have just been operated on and pregnant women should wait before fly in order to avoid any risk. Children under 12 and under 1.30 m are generally not permitted. Written permission for under age youths must be obtained from the parents. For all younger children (under 12 and under 1.30 m) we organise a “Kids Balloon Day”. 3. We are not responsible for luggage, cameras or film material. 4. Any injuries or damage are to be reported to the pilot immediately, or at the latest, within 48 hours. 5. Compensation cannot be claimed for cancellation of flights due to weather conditions or technical faults. The pilot aims to inform all guests of flights within good time. 6. If a flight finishes early due to factors out of the hands of the pilot, then this is classed as being carried out according to contract. 7. The allocation of places in the basket, the choice of the balloon and the starting place is the responsibility of the organizing group. Guest’s wishes will be considered as far as possible. 8. Prices include the balloon flight, balloon baptism with document, personal insurance, accident insurance as well as the organisation and booking of times. 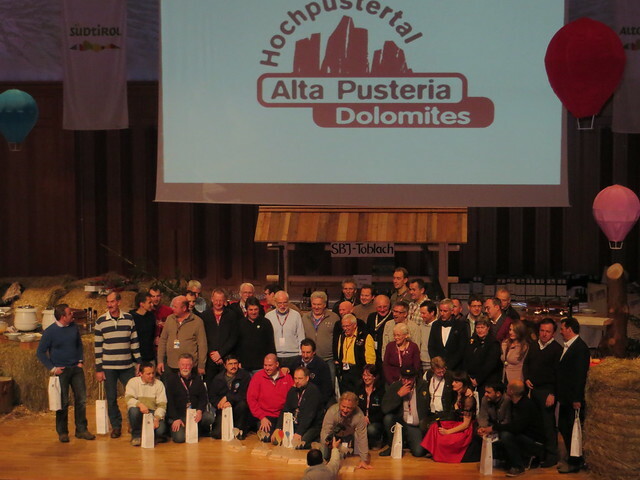 Guests contact the organisers of the Balloon Festival Toblach/Dobbiaco to arrange a starting time and date. There is no extra cost for changes in times and dates. 1. Appointments: please understand that the balloon flight is dependant of the weather and the wind, so make sure you bring along plenty of patience with you in case your flight has to be altered. The decision to start lies in the hands of the pilot, as he is responsible for the safety of the guests. 2. Please observe the no smoking rule in and around the basket. 3. Health problems and handicaps are to be report when booking the flight. People with heart, lung and circulation problems should consult their doctor as to whether it is suitable for them to fly. We recommend that people who have just been operated on and pregnant women should wait before fly in order to avoid any risk. 4. Children under 12 and under 1.30 m are generally not permitted. 5. Talk to the pilot about any problems that could influence your movement (knee, hip etc.) otherwise this could lead to a exclusion from the flight, which is unpleasant for both parties. Your safety is of utmost importance, but in some situations it is impossible to land as smoothly as would be desired. 6. The pilot will expect you to actively help with the setting up and taking down of the balloon if you agree. Stand back from the fan while the balloon is being filled with cold air. Please only do things that the pilot asks you to do. 7. Wear sport clothes and flat, closed shoes, preferably shoes that support your ankles. 8. Follow all instructions given by the pilot in the interest of both parties. 9. Do not throw any objects overboard. Do not touch any ropes or gas tubes, the whole technical department is out of bounds for guests, do not change anything. Do not sit on the edge of the basket. 10. Be careful with video cameras, cameras or other similar objects. We are not responsible for any damage or loss. 11. During landing, hold onto the specially designed handles with both hands standing in the direction of landing with your feet parallel and your knees slightly bent, and not on the edge of the basket or anywhere else. Look forward. Hands and head must be within the basket. 12. Leave the basket after landing only when the pilot says so. 13. These rules are for the protection of the passengers. The pilot is happy to answer any other questions. •Where and when do passengers meet to go on their balloon trip? •Is the start only from Toblach? •Can the passengers decide in which direction they fly, or if they can fly past their house and maybe land there? •How do I, as a passenger, get back to launch site where I parked my car? •Are balloon baskets equipped with a toilet? •Why are children under 12, or under 1.30 m forbidden from participating in a balloon flight? •Can I choose my balloon pilot myself? •Why „balloon ride“and not „flight“? •What is actually a „balloon christening“? •What kind of fuel does a balloon use? •Do you need training to fly a balloon? •Is it cold when you are in the air? •What kind of material is a balloon made of?! •215 Euro/Person – Why is a balloon flight so expensive? Where and when do passengers meet to go on their balloon trip? If not otherwise arranged by telephone, all passengers meet for a normal flight (approximately 1 hour) at 9 am at the information stand at the launch site. This is just below the German Middle School in Toblach. It can be easily seen from the main road and there are signs to guide you to the launch site. For long flights, for example crossing the Dolomites or the Alps, an individual launch site will be arranged by telephone and the time is usually just before 9 am. After checking in (redemption of voucher, payment of flight etc) the passengers will be assigned to their pilots and then accompanied to the balloons. At the launch site the pilot will talk the guests through the details of the flight and then they can begin with the erection of the balloon. Generally, the start of the flight commences about 1 hour after reaching the launching site. Is the start only from Toblach? Generally the start is from the launch site in Toblach. In certain weather conditions the pilot can decide on a so called “fly in”, that means that the balloon team including the passengers travel to another launch site in the accompanying vehicle and return to the launch site in Toblach. The meeting point for these flights, as with all others, is the information stand just below the Middle School. Can the passengers decide in which direction they fly, or if they can fly past their house and maybe land there? Ballooning is a free sport art and depends 100% on the weather conditions. The balloon has no steering device and depends completely on the direction of the wind and the different atmospheric layers. The pilot, therefore, has limited manoeuvrability. Weather permitting; the pilot will try to fulfil passengers’ wishes. How do I, as a passenger, get back to launch site where I parked my car? As balloon flights are weather dependent, the launch site is usually different to the landing site. That is why each balloon team has its own accompanying car with trailer which follows the balloon during its flight and brings the equipment and the passengers back to the launch site in Toblach. It is possible to get out anywhere along the route back to Toblach. Are balloon baskets equipped with a toilet? No!! Please use the toilets situated at the launch site before commencing a flight. In case of emergencies the pilot has a provisional appliance in the balloon. Why are children under 12, or under 1.30 m forbidden from participating in a balloon flight? Apart from the insurance issues which can vary according to the country of origin of the pilot, the main reason is that the sides of the basket are 1.20 – 1.30 m high and it is therefore impossible for smaller children to see over the sides. For safety reasons, children are not allowed to be held in the arms of their parents. Can I choose my balloon pilot myself? Generally passengers are allocated a pilot by the organiser. We are glad to accommodate personal wishes as far as possible. After a telephone call between the organiser and the passenger on the day before the flight, the passengers’ preferences will be taking into account (language of pilot, country of origin etc) in order to ensure the best possible balloon experience. The organisers will try their best to accommodate any personal wishes but no guarantee can be given. On one hand, the balloon, whether it is hot air or gas balloon, is an aerostat. It moves in accordance with aerostatics unlike aeroplanes or helicopters. The main principle is “lighter than air”. The warmed air inside the hot air balloon is lighter than the air on the outside. In a gas balloon, the gas is also lighter than the outside air. This mode of operation comes from the theory of aerostatics as defined by Archimedes 287 – 212 B.C. So much for physics, if you are interested, please look up Archimedes. There is also another reason why balloons don’t fly. The first balloon pilots, the inventors of the balloon the Montgolfiere brothers said in 1783 that they were gliding in an ocean of air. And therefore, if ships drive through the sea, then balloons drive through the air. And another reason: once you have been in a balloon you will understand that it is being driven or gliding through the air. The earth moves slowly underneath you and there is no resemblance to the hectic of flying. To conclude, just a little drop of bitterness, you only talk about driving a balloon in German speaking countries, otherwise you fly. You fly a balloon, go ballooning or take a balloon ride. What is actually a „balloon christening“? At the beginning of balloon history in the 18 hundreds, it was only aristocrats who were allowed to ride in a balloon. From this, a custom developed whereby everyone who went on their first balloon flight was given a title of nobility. After the landing the passenger was baptised with fire and champagne and handed a certificate by the pilot. You had to promise to use your title and never to mention the word flying in connection with ballooning again. What kind of fuel does a balloon use? Propane gas. The gas which is stored in special steel cylinders is ignited in the burner causing a flame of about 1600 degrees C. Depending on the flight and landing, each balloon uses between 100 – 120 litres of fuel per hour. The efficiency of the burner is about 600 KW. Do you need training to fly a balloon? Of course. In order to fly a balloon you first need a pilot’s licence which is almost identical to a pilot’s licence for sport planes. As well as the extensive theoretical part of the training, a pilot also has to undertake practical training. Each pilot’s licence is only valid for a short time. It can only be renewed after undertaking a t the minimum amount of flight hours per year and passing a medical by a specially trained doctor. The pilot’s licence can be taken away for breaking rules, even on the roads. Is it cold when you are in the air? The temperature in the air is not much different to that on the ground. It lowers by 1 degree every 100 metres but you can hardly feel any wind as the balloon is moving with the wind. There is also the burner which gives off heat and therefore you will hardly feel any different to on the ground. The organisers recommend ski clothing, a warm jacket, thick socks, and good shoes which preferably cover the ankle. What kind of material is a balloon made of?! The balloon is made mainly of nylon and is coated on the inside with polyurethane. When new, the tear resistance is about 23 kg/cm³. The balloon is no longer allowed to fly when it registers under 13.6 kg/cm³ and has to be repaired or taken out of service. Our balloons have a special „Hyperlast“material at the top where the heat is at its greatest. The life of a balloon generally lasts for about 400 hours, maximum 700 hours. The basket is woven with a steel framed chassis. The basket wires are made of a special type of steel. The various pieces of equipment such as radio, GPS, fire extinguisher etc, are all kept in the basket. The gas cylinders are made of specially constructed steel bottle each containing about 50 litres of gas. The burner that heats the air in the balloon achieves about 600 kw and consists of 2 separate burner coils with 2 pilot flames. If one should happen to extinguish there is no cause for panic and they both work individually. Why is a balloon flight so expensive? Flying a balloon is very costly which most people don’t believe. Therefore the price of a balloon ride is very expensive. To buy a balloon, the balloon itself, the burners and the basket, and the accompanying car and trailer costs around 70,000 Euros and then there is the cost of the fuel which at the moment is very high. You also have the yearly cost for maintenance, licence and the personal costs of all the balloon team. Without sponsors or private fortunes ballooning would only be a sport art for those pilots who are exceedingly rich. We hope we have been able to answer some of your questions and look forward to flying with you. If you have any other questions, please do not hesitate to contact us!